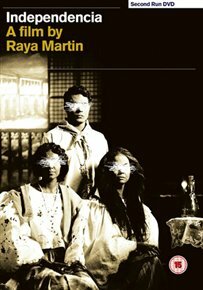 Filipino historical drama directed by Raya Martin. During the American invasion and occupation of the Philippines in the early-20th century, a mother and her son take refuge in the middle of the jungle, where they hope to avoid violence and oppression at the hands of the incoming troops. While in hiding they are joined by another mother, who is mortally wounded, and her child. They try their best to survive, but a lack of provisions and tough conditions threaten their very existence. Can they weather the storm and get through their difficult situation? Presented from a new high-definition digital transfer with restored picture and sound, approved by the director. Behind the scenes– the making of Independencia.